Have you seen the Phil Visher video for kids/families "Why do we call it Christmas?" 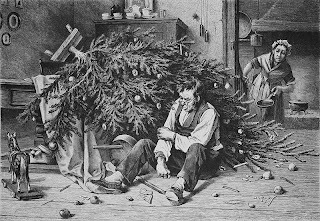 It a video that teaches about where different Christmas traditions originated (including the Christmas tree). If you've seen it, wondering what your thoughts were on that version (which involves they mythological god Thor; then Boniface coming to Germany and using a tree to show them Thor was not real).